Hey there i'm back with my new crocheting project: A snow white fingerless gloves. Rnd 1: Beginning with a slip stitch chain 30. Join the ends.Now here the length of the chain vary greatly and depend completely on the width of your hand. If you have big hands then chain of 30 wont be ideal for you. Rnd 2-4: Ch 2, make first Sn st in 30th stitch of underlying chain. Sn St in each Stitch of the chain. Rnd 5: Ch 2, Hdbl st in each alternate Stitch of the below sn st, i.e after each Hdbl St, Ch 1. We will have a row of holes here. Rnd 6-9: Ch 2, 2 Hdbl st in each alternate hole of the previous layer, i.e after each pair of Hdbl St, Ch 1. Rnd 10: Ch 2, continue as above rows up to 26 stitches. Ch 12, Join the end of this chain to the first stitch of this row. You will find a hole for your thumb created, this can be subjected to the size of your hand. Hence may be increased or decreased accordingly by increasing or decreasing stitches. Note: When joining the 2 ends of a circle use the chain and not the hole to make invisible seam and that includes both the loops of the stitch and not just one. Rnd 11-17: Ch 2, 2 Hdbl st in each alternate hole of the previous layer and after each pair of Hdbl St, Ch 1. Rnd 18-20: Ch 2, 1 Hdbl st in each alternate stitch of the previous layer, i.e after each Hdbl St, Ch 1. Its like the Round 5. * Dec 6 stitches evenly in these round. Rnd 21-23: Ch 1, sn st in each stitch. Rnd 24: Ch 1,make 3 sn st's, Ch 5, join in next stitch. Repeat. Top it up with a puff flower. Thank you for stopping by. I hope you enjoyed reading my post. 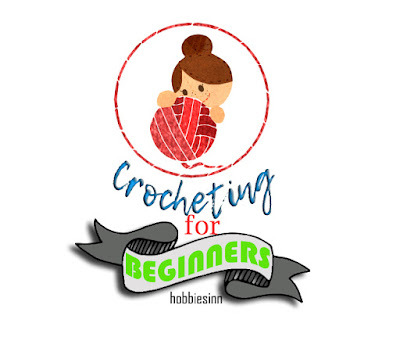 Please subscribe,share and keep crocheting.